The objective of this book is to ensure a better quality of life for everyone, both now and for generations to come. This means creating a better and safer environment internationally through the sustainable use of natural resources, encouraging sustainable development which supports a strong economy, and ensuring a high quality environment that can be enjoyed by all. Sustainable Development Partnerships brings together in one reference today's most cutting edge technologies and methods for creating sustainable communities. Adopted in the United States and a number of other countries, LEED? certification is the recognized standard for measuring building sustainability. Achieving LEED? personal certification or project certification is the best way to demonstrate that the project is truly ";green. 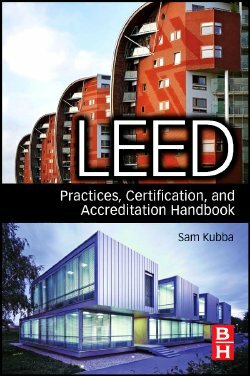 "; Written by an architect with over 30 years of international experience, this book provides architects, designers, building owners, and construction engineers with an easy to understand guide to the nuts and bolts of LEED? project and personal certification. 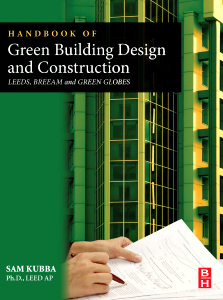 Handbook of Green Building Design and Construction's ten chapter treatment starts with a clear and rigorous exposition of green theory, followed by self-contained parts concerning applications. Sustainable Land Development and Restoration provides a toolbox to both the novice and experienced environmental practitioner of valuable techniques for addressing site specific environmental issues, as well as managing a portfolio of liabilities on an international scale. Ultimately, the authors are addressing the critical issue of balancing environmental asset balance sheets, whether on the scale of an individual project, across a company's portfolio, or for a community. Until recently, much of the development of building materials has predominantly focused on producing cheaper, stronger and more durable construction materials. More recently attention has been given to the environmental issues in manufacturing, using, disposing and recycling of construction materials. Sustainability of construction materials brings together a wealth of recent research on the subject. 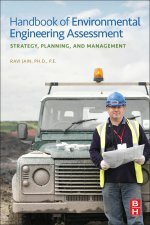 Handbook of Environmental Engineering Assessment is one of the most comprehensive books on complex subjects of environmental engineering assessment and planning. Addressing these issues requires an understanding of technical, economic, and policy perspectives; based upon extensive research and practical experience of the authors, these perspectives are thoughtfully and clearly presented.